Thanks to ParkVia you can now reserve parking in the centre of Rome, only a few steps from the most beautiful areas and sights of the capital. The car parks are monitored by CCTV 24 hours a day so you can leave your vehicle knowing that it will be secure no matter how long your stay is. The car parks listed on our website provide security and efficiency at very competitive prices for parking in Rome. To book your space, simply compare the prices and choose the car park that best suits you. With ParkVia, you can now book your parking in Rome in advance and enjoy the beautiful sights of the city without any worries. Rome is the capital and largest city of Italy. With wonderful palaces to see, Rome has an immensely rich historical heritage and cosmopolitan atmosphere, making it one of Europe's and the World's most visited, famous, influential and beautiful capitals. Rome has a growing nightlife scene and is also seen as a shopping heaven, being regarded as one of the fashion capitals of the world. 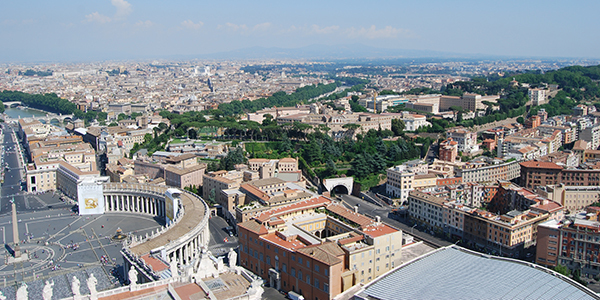 With so many sights and things to do, Rome can truly be classified as a "global city".